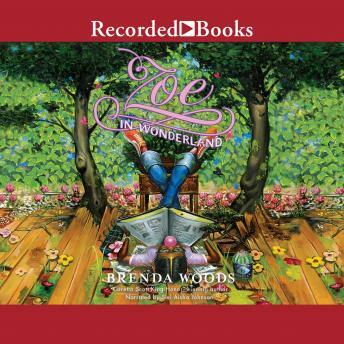 Coretta Scott King Honor winner Brenda Woods introduces Zoe-an endearing eleven-year-old who's afraid her real life will never be as exciting as her imaginary one. Zoe Reindeer has a very big imagination, but in real life she considers herself "just Zoe"-not measuring up to her too-perfect older sister and her smarty-pants little brother. Truthfully, though, she'd rather just blend in with the plants at the family business, Doc Reindeer's Exotic Plant Wonderland. That is until a tall astronomer from Madagascar comes into the nursery looking for a Baobab tree, and starts a ball rolling that makes Zoe long for real adventures, not just imaginary ones. When her family is suddenly forced to relocate, they find themselves heading to a place reindeer have never gone before-and to Zoe, it feels like her first real adventure is finally beginning.